Iris outage – is Iris down for you? Iris systems currently appear to be down. 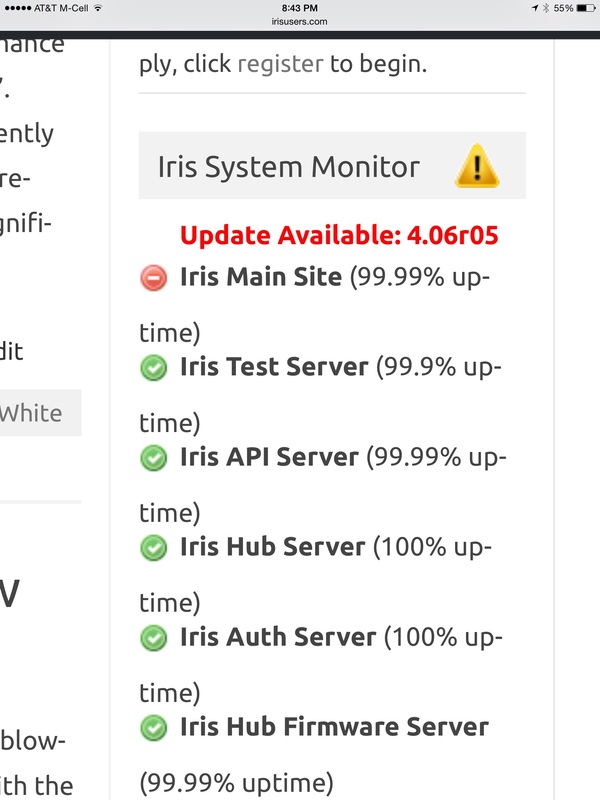 Our Iris system monitor is currently seeing fluctuations in availability on the main Iris website as well as the API server. Various members of the LivingWithIris forum also are reporting problems with Iris. Our own IrisUsers hub is currently showing a red trouble light indicating a system issue. Having an issue with your Iris system? Leave a comment below. Update 5/19/2015 10:54PM: All services appear to be back up and stable. 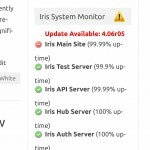 According to a post from IrisByLowes at LivingWithIris forums, the Iris servers were hit by a denial of service attack this evening. Our Iris System Monitor logs also confirm the event was most likely a denial of service attack with the main Iris website suffering a continuous outage of nearly 30 minutes. Just came back up for me. Can’t complain – first time I have ever noticed down. Just scared me because I had just done a hub update a few hours before and I thought my hub was originally the problem. My thoughts exactly. 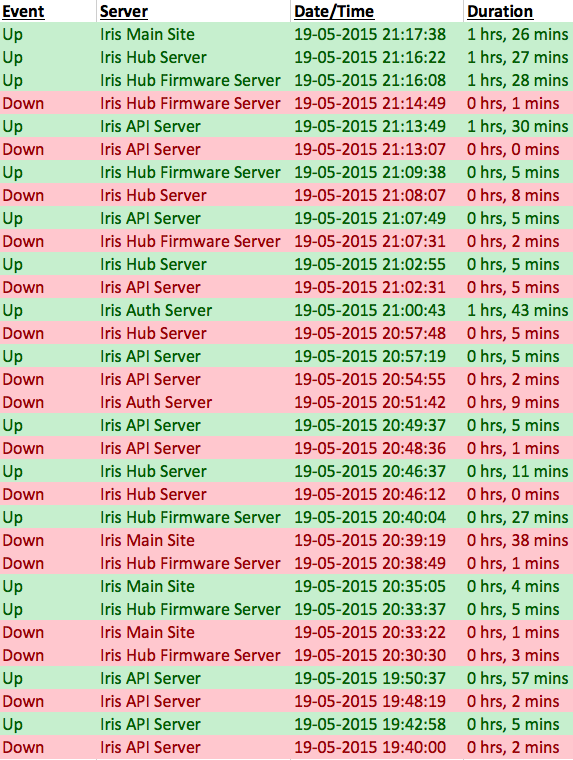 This is the first significant outage of the Iris system in a very long time. Despite all of it’s current limitations, Lowe’s has done a great job of maintaining the availability of the Iris system.